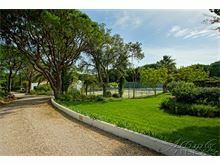 We are very pleased to be able to feature this delightful house set in beautiful gardens on a secluded plot near the Vale do Garrao residential development which is situated midway between the resorts of Quinta do Lago and Vale do Lobo. This location means you are never more then a few minutes away by car, from the very best the Algarve has to offer in the way of top leisure facilities, including golf, tennis and horse riding, together with a superb choice of restaurants. Glorious sandy beaches flanked with the Algarve's famous red sandstone cliffs are also just a minute or two away. Despite being near a residential development Villa Damar offers seclusion and privacy in its well tended mature gardens surrounded by tall pines, palms, pretty flowers and shrubs, giving a feeling more associated with a countryside location. The terrace with barbecue overlooks the impressive 12 metre pool, which can be heated in the cooler months if required, and the interior is bright and modern with spacious tastefully furnished rooms. With the added bonus of its own private tennis court within the grounds Villa Damar is a favourite with our clients. 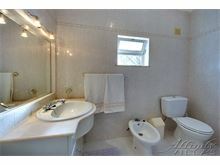 Approximately 1.5 kms from the beach and 2 km from the shops. Lounge with TV, DVD and doors to a covered patio with barbecue, archway to dining area, kitchen with microwave and dishwasher, utility room with washing machine. 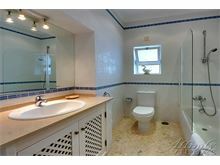 1 double bedroom with full en suite bathroom including a walk in shower, 1 twin bedroom, 1 full bathroom, 1 twin bedroom with doors to the patio and shower room en suite. Maid service 3 times per week. 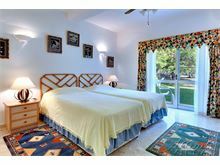 Wi-Fi, pool heating and air conditioning are available at extra cost, if required. A lovely villa with a perfect pool for young children and located off the beaten track to enable you to make as much noise as you want! Another super holiday at Casa Damar. We love the grounds and generous outside space around the large pool. We hope to return. Both the ease of booking with Affinity Villas and the simple luxury of Villa Damar made our summer holiday very very enjoyable. We will be booking again. A really good find!! 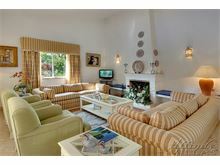 A secluded villa with a great heated pool AND outdoor tennis court. 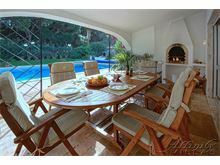 The outdoor bbq area is fantastic and the villa contains all the utilities you might need. Beach is just a few minutes away. A great place to relax with the family or friends! There were only two of us staying, and so we had plenty of room! The pool was great and we had arranged for it to be heated just in case. The weather was very good most of the time and we enjoyed eating lunch outside, and just sitting and reading by the pool. 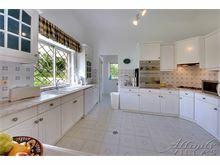 The kitchen was well supplied with everything we needed, and it was lovely washing up overlooking the garden. We played tennis twice and had a walk round the fruit trees in the garden, as we are keen gardeners. It is a great base to visit other towns along the Algarve and we made a few day trips to Portimao, Albufiera etc. We had a wonderful holiday and have recommended it to our friends. 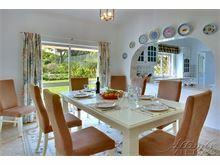 A beautiful villa in a lovely quiet setting, we had a wonderful stay and will definitely be booking this villa in the future. 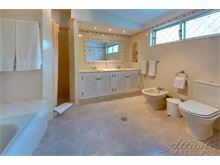 Layout of property worked really well for us, 2 bedrooms ensuite and the other bathroom close to 3rd bedroom. 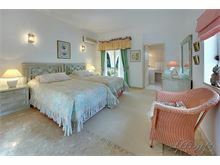 Also, living area separate enough not to disturb anyone in bed. Barbecue area brilliant for cooler evenings as it is next to the house. 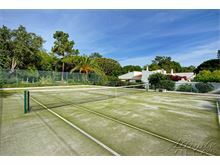 Fantastic having our own tennis courts and the pool big enough for a decent swim and play. Definitely need a car as remote location, which we loved as no neighbours to disturb or be disturbed by! We loved it! Had a wonderful holiday and really enjoyed staying at villa Damar would love to come back again next year!! 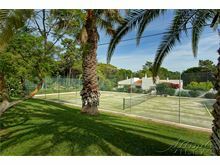 A lovely peaceful location, very secluded with a great tennis court, swimming pool and all the facilities you need. 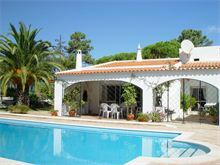 Within easy reach of Faro, the airport, great restaurants and the beach....all a short drive away. Nice villa it was everything we expected. 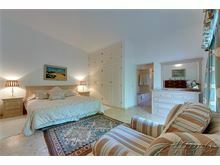 Have been with Affinity Villas many times never been disappointed. 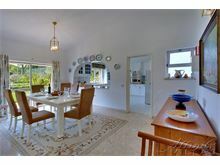 A superb villa in a quiet and private location. We would definitely take it again. Great location with fantastic outdoor space. 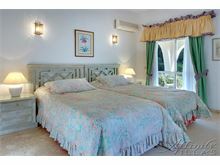 We choose this villa as one of our guests is in a wheelchair. We found the villa to be all on one level and very accessible. A good spot for all local amenities. Lovely grounds, clean and has everything that you could need for a relaxing holiday. A superb villa with everything you could wish for. Secluded but within easy reach (by car) of the supermarket, beaches, restaurants, beautiful golf courses and towns - including Faro. 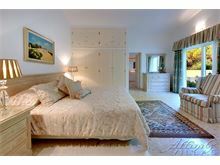 Excellent furnishings and a heated pool in large gardens. The tennis court was a real bonus - especially for my two grown-up sons who accompanied us. Tennis rackets and balls supplied! Spotlessly clean and tidy - nice and airy with high ceilings, but the air conditioning in each of the bedrooms was a welcome luxury! Lovely sheltered outdoor dining area with a barbecue meant we didn't eat indoors once during the whole week. We will definitely come back to this villa if we come to Quinta do Lago again. Thanks Affinity Villas for a great week!